The Willow Warbler was @SpeciesofUK from 31st March to 6th April, 2014. Willow Warblers are slim, delicate birds of woodland, scrub, parks and gardens. They migrate to the UK for the summer from southern Africa. The willow warbler has recently been re-classed in a new family. Sylviidae was used to describe small insectivorous birds of undistinguished appearance. But recently it's been split up into several distinct families. 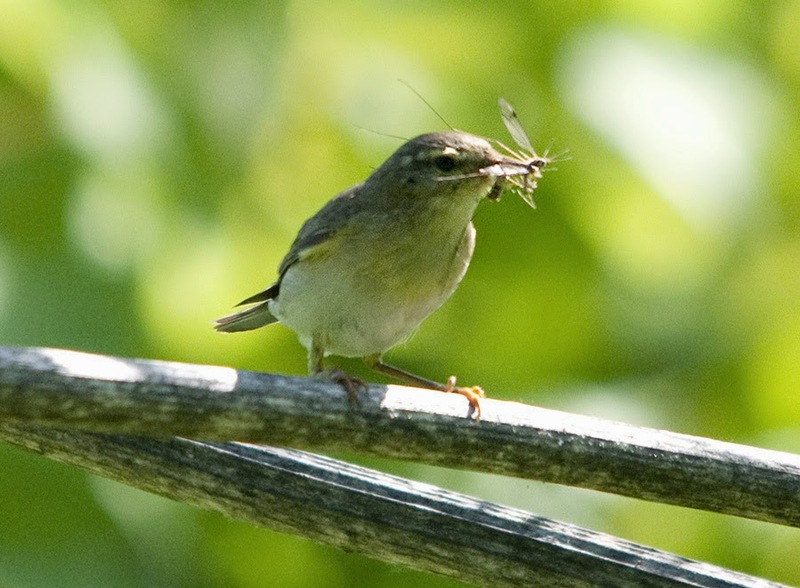 The willow warbler was sometimes known as the 'willow wren' up until the nineteenth century. 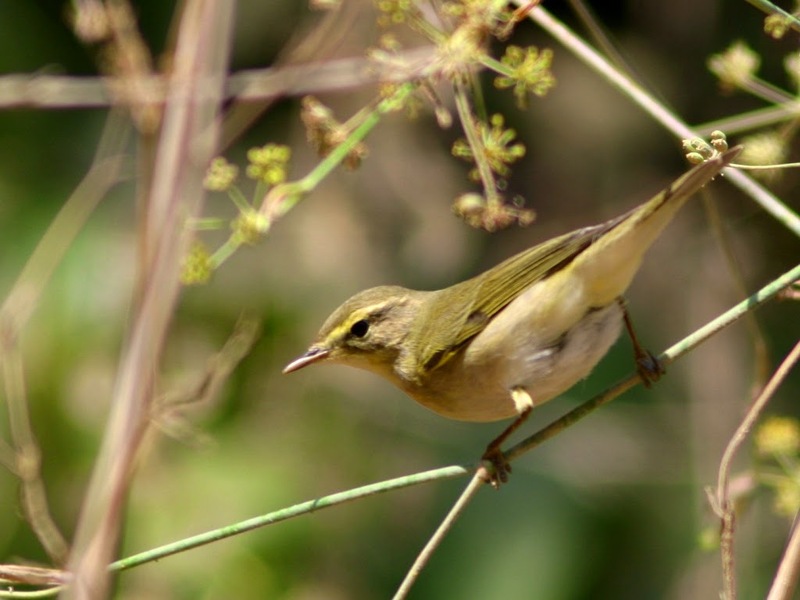 The UK is at the edge of the willow warbler’s breeding range. 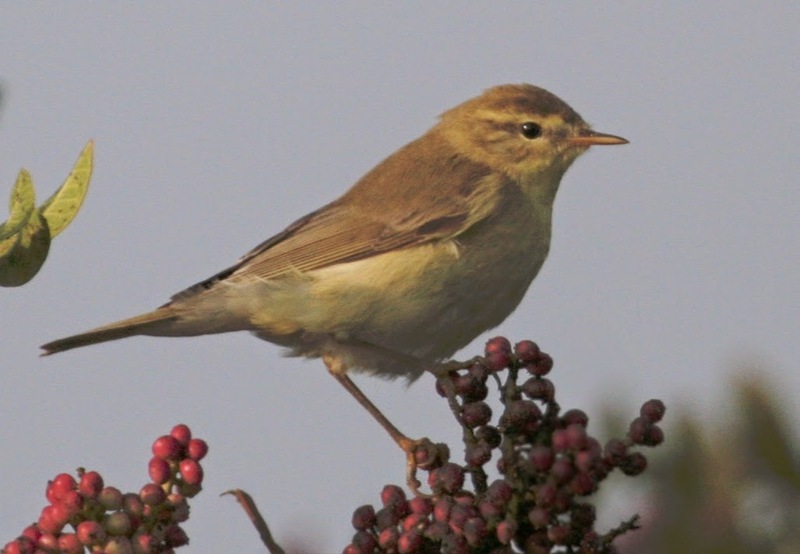 The breeding range of the willow warbler extends from the UK and Ireland at the very west, to Siberia in the east. Willow warblers are the most common bird in Scandinavia, where they comfortably outnumber people. 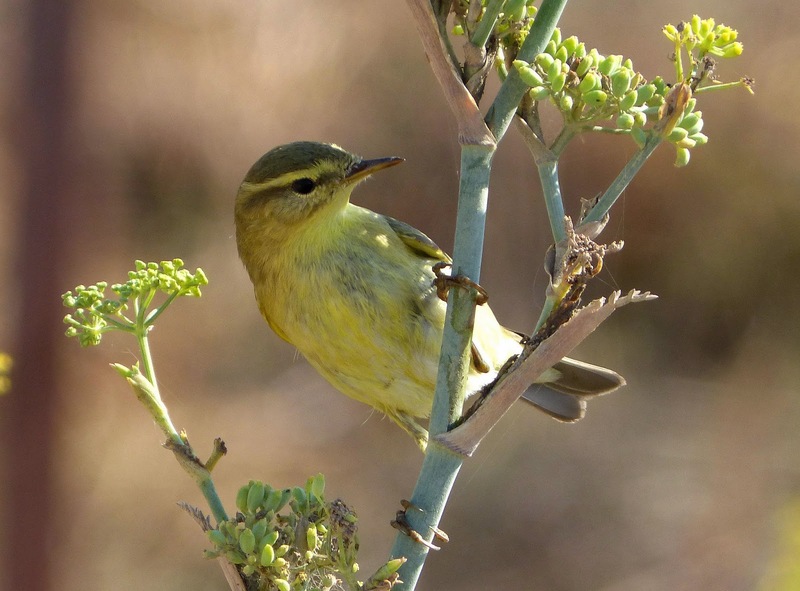 Willow warblers migrate to the UK and Europe for summer from southern Africa. The males arrive late in March and the females a couple of weeks after that. The willow warblers from eastern Siberia migrate about 12,000km to their wintering grounds in Africa, which is one of the longest migrations for a small bird. The UK’s willow warbler population has undergone a moderate decline over the last 25 years, especially in southern Britain. In Scotland however they’ve been very slightly on the increase. Willow warblers are grey-green on the back and pale underneath, tinged with yellow on the chest. They’re a small bird. They have a pale supercillium (stripe above the eye). Willow warblers are usually heard before they're seen. You'll notice a melodious, warbling song from amongst the tree canopy. 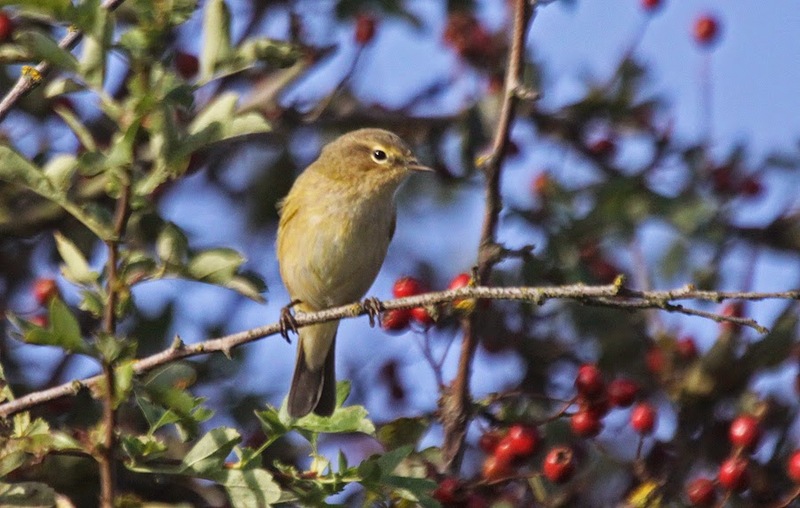 Like other warblers, willow warblers are insectivores, but will also eat berries and fruit in the autumn. Willow warblers are very similar looking to chiffchaffs. However, willow warblers have pale reddish feet and chiffchaffs dark grey. 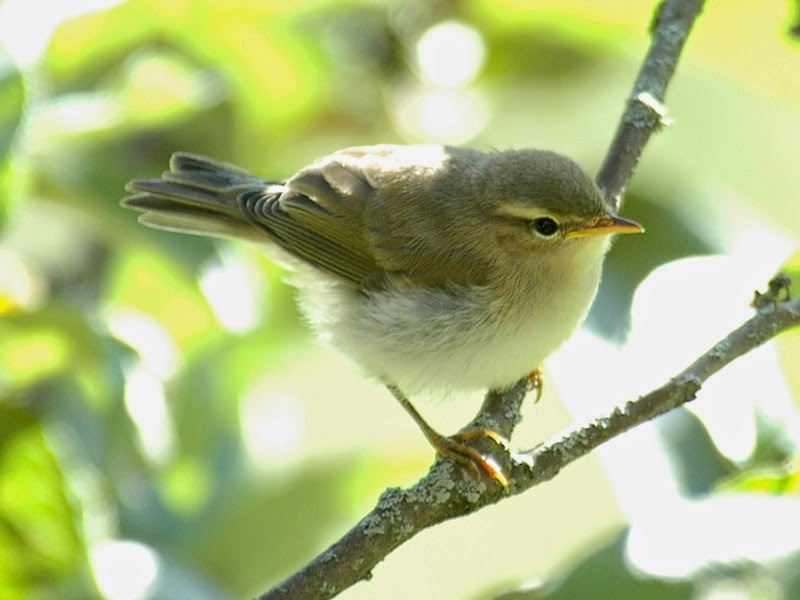 The best way to distinguish the willow warbler from the chiffchaff is by its song, which is very different from the chiffchaff's simple repetition of its own name. 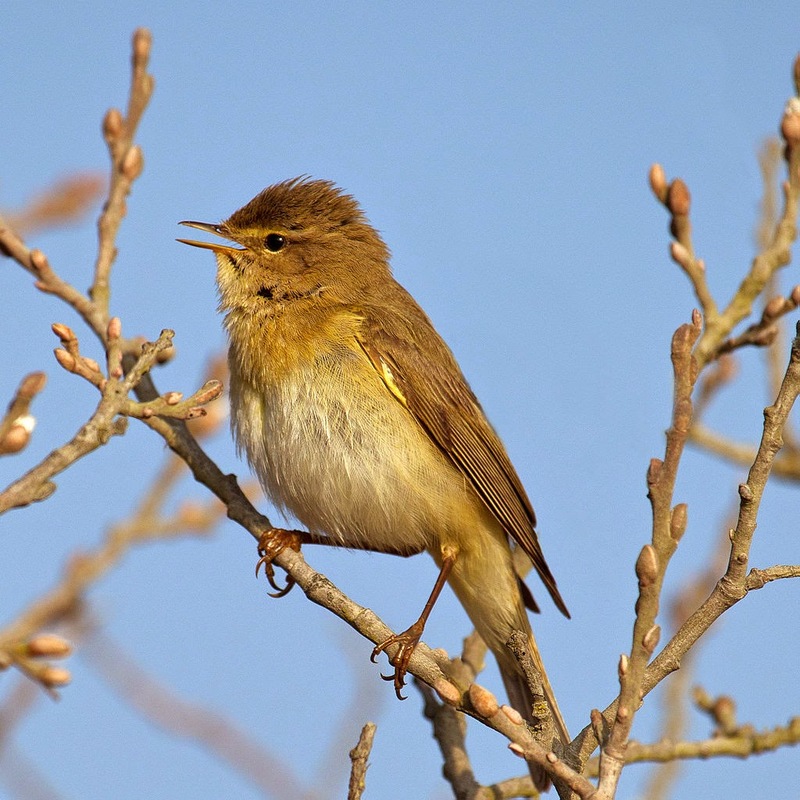 Willow warblers also tend to sing in the midst of smaller trees, whereas the chiffchaff prefers to sing in high treetops. 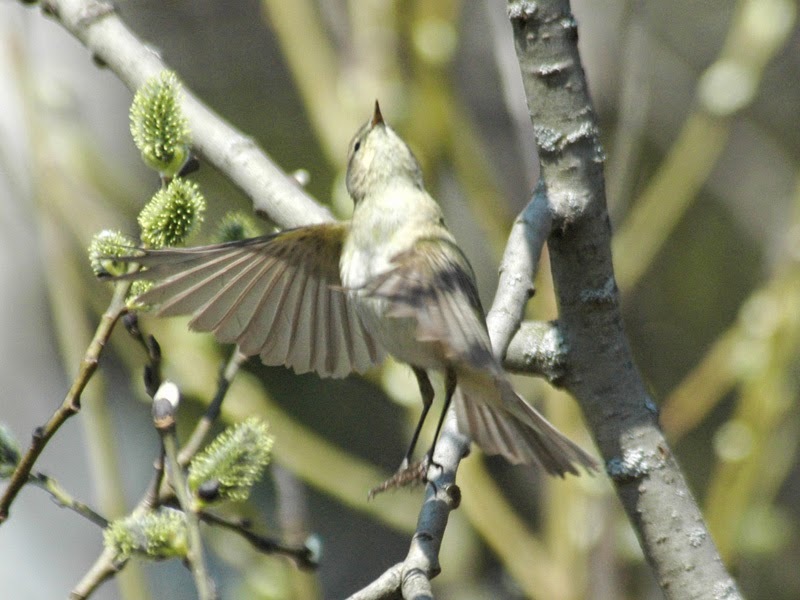 Unusually, willow warblers moult twice each year - once at their breeding grounds and again at their wintering grounds. No one's quite sure why. Derwent May, Nature Notes, p.56-57. Derwent May, Nature Notes, p.57.